I can’t believe all the hustle and bustle of the holidays is over and now I am back to reality. It’s sad that such a special time of year is over, but exciting for all new memories to be made this year. 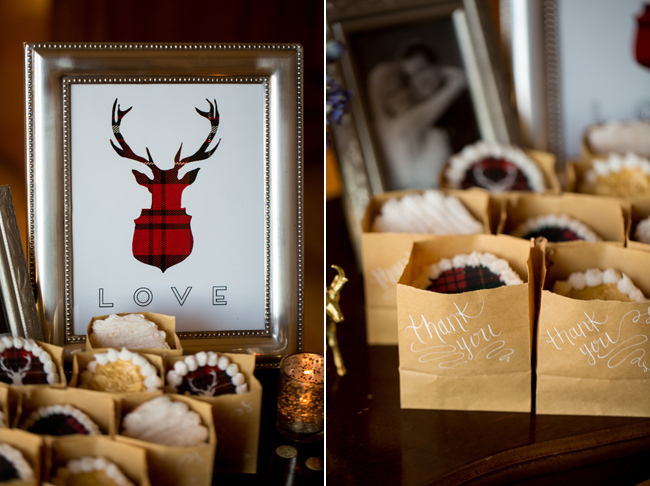 Speaking of exciting…I have a very cute plaid, animal themed styled shoot that I thought would be perfect to start off on. 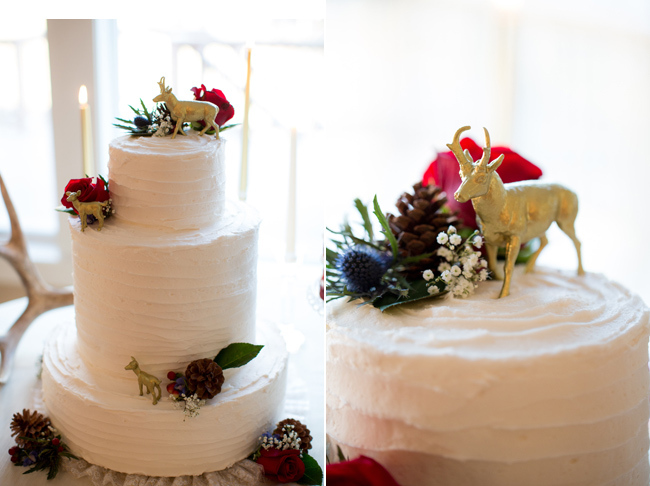 I am drawn to the wintery feel, the plaid cakes, and the gold animal figurines (gold really has taken the wedding world by storm this last year). 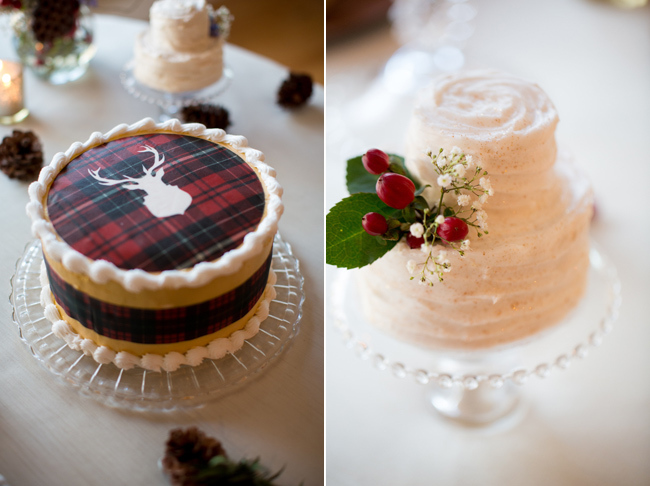 Here is Harper Hadley Events to talk about the behind the scenes: The idea for this shoot began long ago, with a desire to infuse some of my Scottish heritage and the beauty of the rustic and rolling countryside into a wedding someday. Though this was a winter inspired shoot, I didn’t want it to look too ‘Christmassy’, so we kept the palette neutral with pops of color in the floral design and details. Weeds Florist did a fabulous job with the beautiful arrangements. Just a few of the blooms used were Lotus Pods, Blue Mountain Thistle, red Roses, red Alstroemeria, Hypericum Berry, Wax Flower and Baby’s Breath. 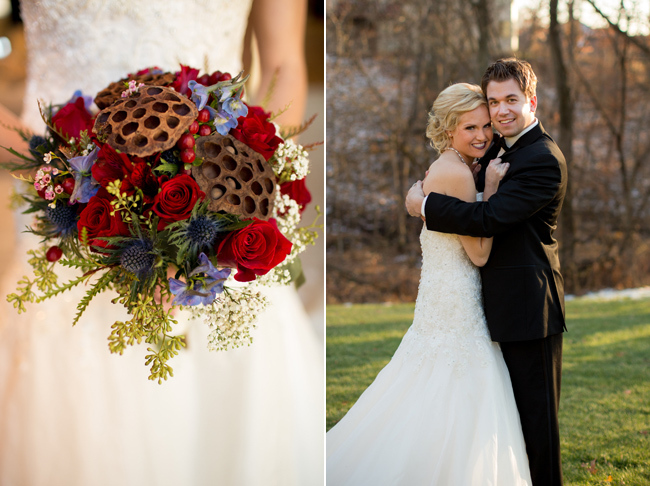 The textures and organic shapes were so fitting and absolutely gorgeous! 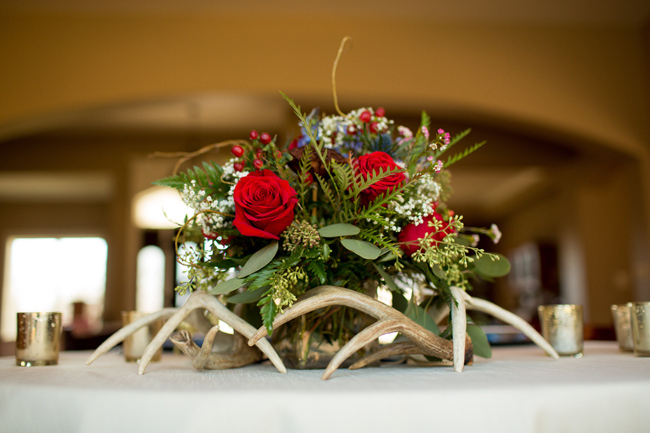 For the table settings, we were able to find some antlers to use for a masculine touch and added dimension. The beautiful linens, wooden chargers, hammered silverware and gold-rimmed china were so perfect from Spielman’s Event Services, among other lovely details. 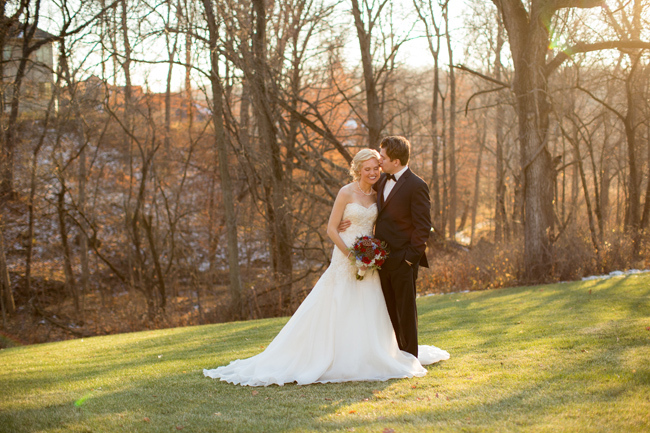 Absolutely adore this quirky, winter wedding. The little details are just lovely. 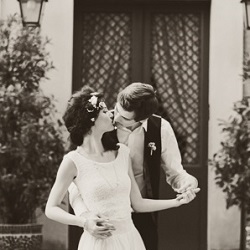 This would be perfect for a Scottish themed wedding too with the colours and tartan, great inspiration! I love that cake! Those deer? So cute!